Although the name might mean little to modern readers, there was a time when the initials ‘IWW’ struck fear in the hearts of bosses, police and all other respectable elements of society. The Industrial Workers of the World, formed in 1905, was one of North America’s most radical and militant unions. 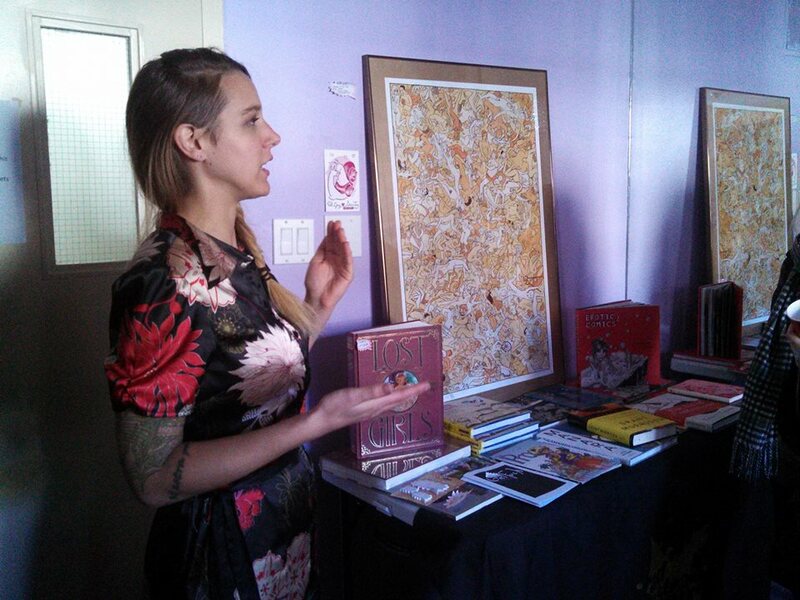 Though much diminished since its heyday in the 1910s and 20s, there are still active IWW chapters around the world, including here in Toronto. 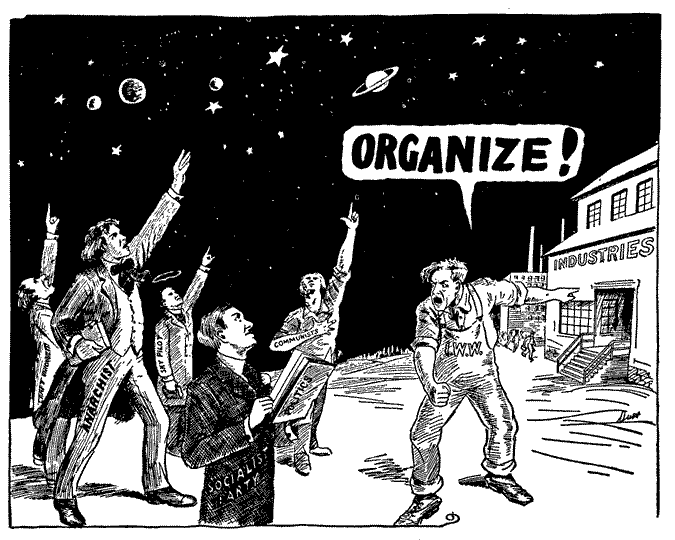 What is less well known about the Wobblies, as they have been called for generations, is their rich history of political cartoons. 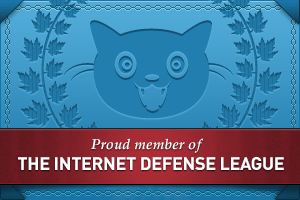 Their most enduring contribution to the graphic vocabulary of the left is undoubtedly the Sabo-Tabby. Seen here with claws out and back arched, the Sabo-Tabby was probably created by Ralph Chaplin, more famous for writing the union hymn “Solidarity Forever”. But their work also includes the hopeless ‘boss-head’ Mr. Block who could never quite see where his interests lay, and a proliferation of other editorial cartoons. 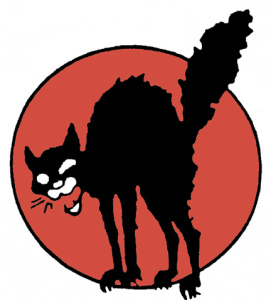 The IWW truly forged an iconography of both union pride and class consciousness in their decades of activity. An organized worker walks proudly with his good friend. Note the wooden clogs, another early symbol for workers’ sabotage. In the first half of the 20th century, when millions of working people lived in conditions of poverty unimaginable today, the rich enjoyed lives of equally unimaginable luxury. The appeal of the IWW’s call is all too evident. The refusal to deal with politicians, seen as agents of the capitalist class, is recurrent in Wobbly cartoons. The IWW’s antipathy to politicians began early, with a break from socialist politician Daniel DeLeon, who insisted on the primary importance of political struggle and the potential irrelevance of demands for higher wages. The Wobbly response to this attitude is summed up wonderfully in “Now He Understands The Game”, where the looming figure of a class-conscious worker looks skeptically on the capitalist’s puppet show. The demands clutched in his hand and the rising sun of the IWW at his feet are all a part of him seeing the political façade for what it is, and so the worker is labeled accordingly on his overalls. That the various political puppets are all on the strings of the same boss, symbolizing the capitalist class as a whole, showed that the bitter partisanship of mainstream politics was an irrelevance to workers who could legislate on the shop floor. 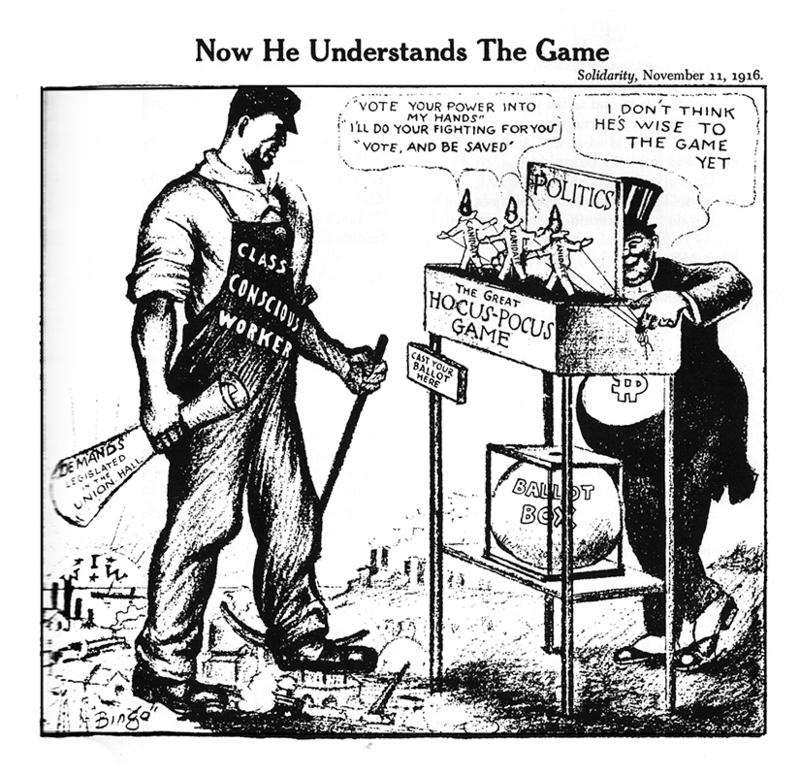 IWW cartoons tended to construe politicians as a class, usually not differentiating between Democrat or Republican. But their jabs were also aimed at the parties of the socialist left. In this cartoon, the artist mocks the notion that transient workers can have their interests served by sedentary politicians belonging to the more mainstream Socialist Party, led by former Wobbly cofounder Eugene Debs. Farmhands, lumberjacks and other temporary migrant workers were the focus of many successful IWW campaigns; the idea that these precarious workers would cast their lot in with a politician representing a congressional district they might not be in for even a year was duly mocked by the Wobbly press. The only way to catch the pork chop of gainful employment was to join a union that would see to your getting a square deal – or at least a square meal! The Communist Party USA was, if anything, less favourably regarded by the Wobs. Like a great many other left organizations operating in North America, the IWW was constantly confronted with accusations that it was doing Bolshevik Russia’s work and that its members were agents of the communist state. This allegation was not helped by the emigration of leading Wobbly ‘Big’ Bill Haywood to Russia following the revolution, and the publication of his happy memoirs. 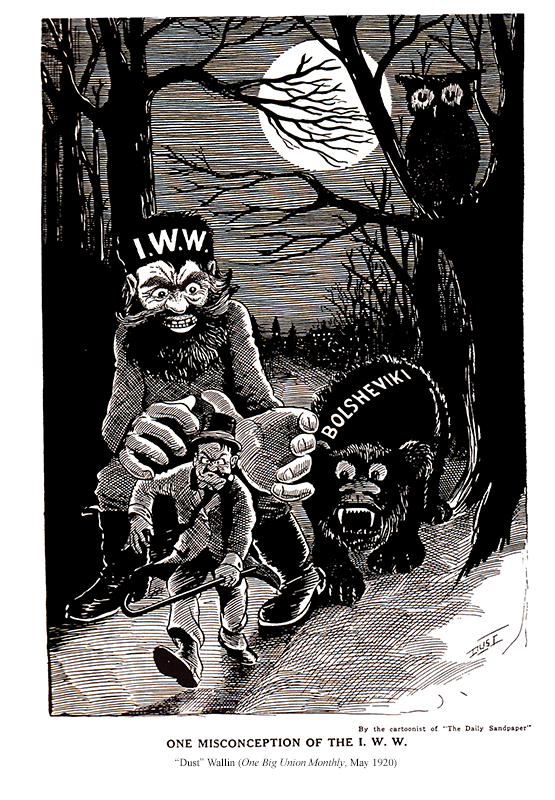 But as this comic shows, the IWW did not want to be seen as leading the Russian Bear behind it. The cartoon draws on the popular representation of Russia as a bear, and the high population of lumberjacks in the IWW to create an image of a sinister woodsman. Other than the label, ‘One misconception of the IWW’, nothing in the cartoon indicates that the Wobblies and the Bolsheviks were anything other than friendly. 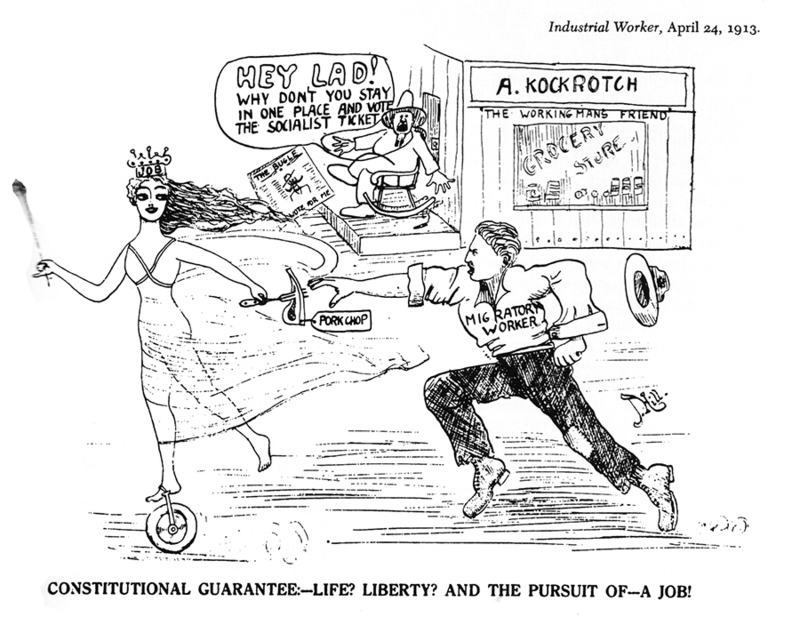 Although they were drawn by dozens of different artists, some of whom are speculated to have had separate careers as established comic strip artists working for commercial features, IWW cartoons share some commonalities. 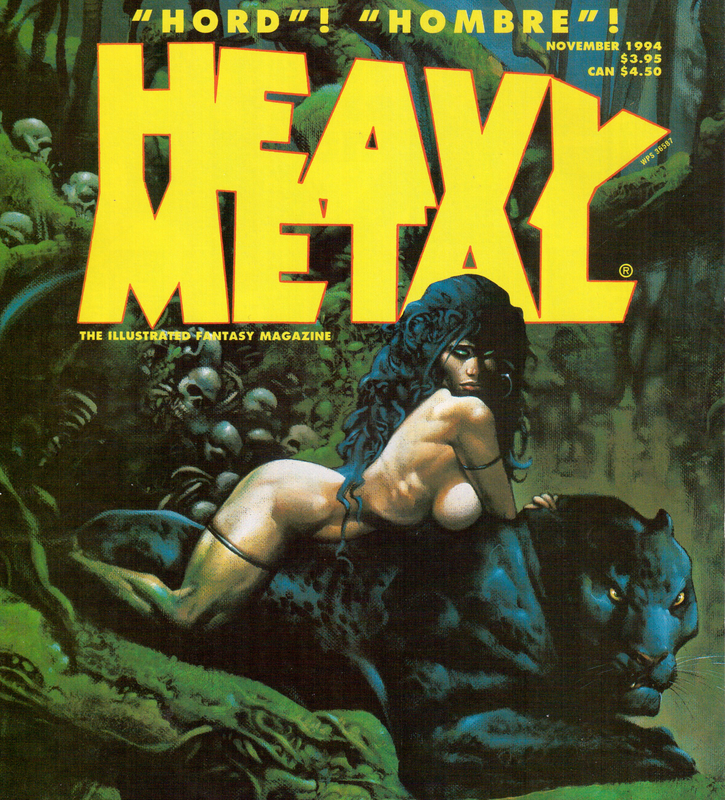 They are seldom subtle, and some feature such extensive labeling of elements of the image that one suspects the artist harboured grave doubts regarding their abilities as an illustrator. At times they attempt to incorporate too many elements to be coherent, though most of those selected here avoid that prospective pitfall. But they serve their purpose in their simplicity: politicians and businessmen are ugly with expressions of sinister intent on their face. For hungry workers making a pittance for long hours, the straightforward message of these comics must have helped to win them over to the Wobblies’ cause. When all the fiery manifestos in the world won’t do, sometimes a few comics can close the gap. Keeping the Faith: Wobblies! A Graphic History of the Industrial Workers of the World. Mike Alewitz, Sue Coe, Sabrina Jones. Edited by Paul Buhle and Nicole Schulman. 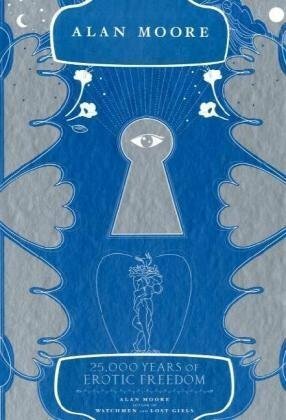 2005, Verso Books.